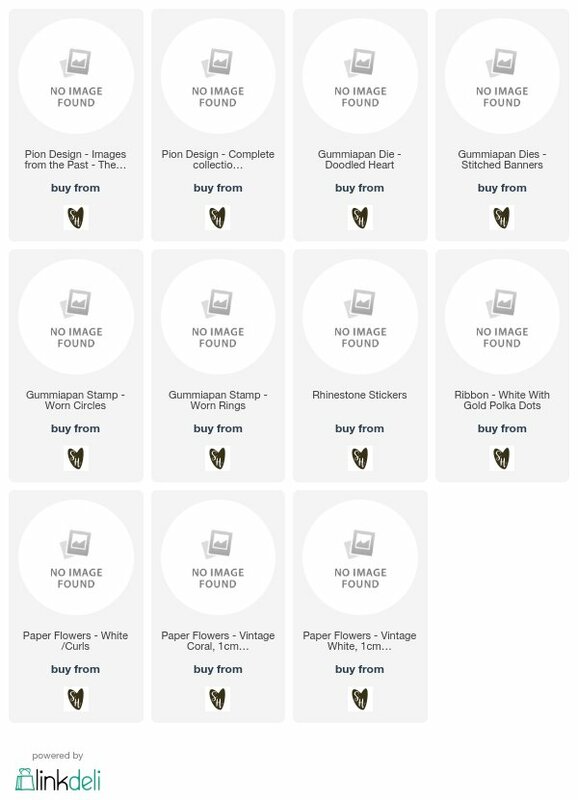 I love creating mini-albums and the Pion Design papers are some of my all time fav papers when it comes to altering and album making. 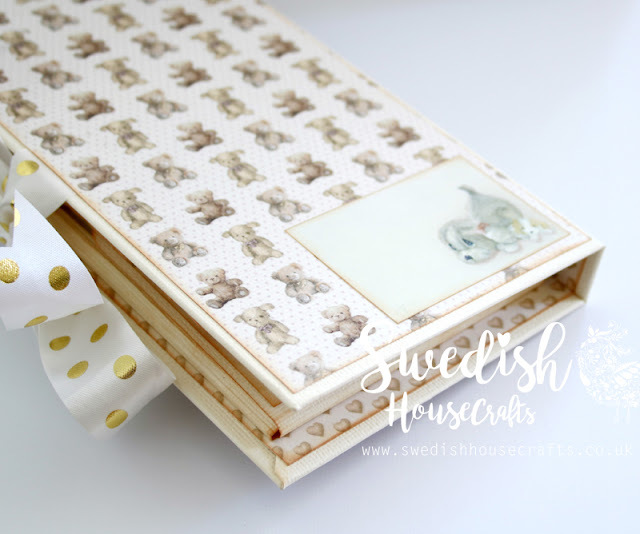 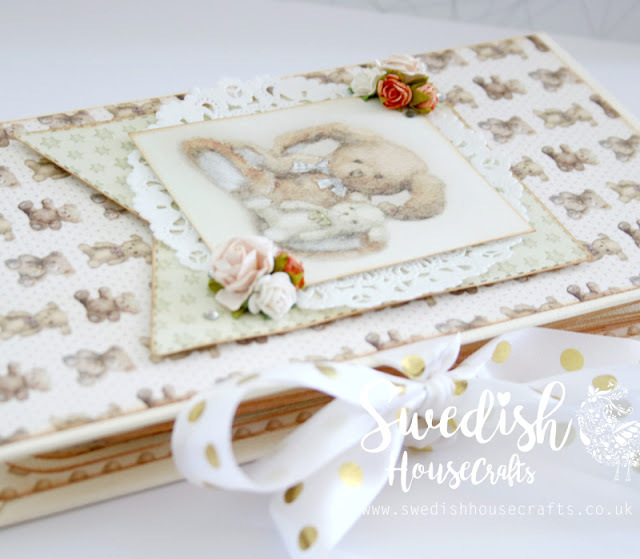 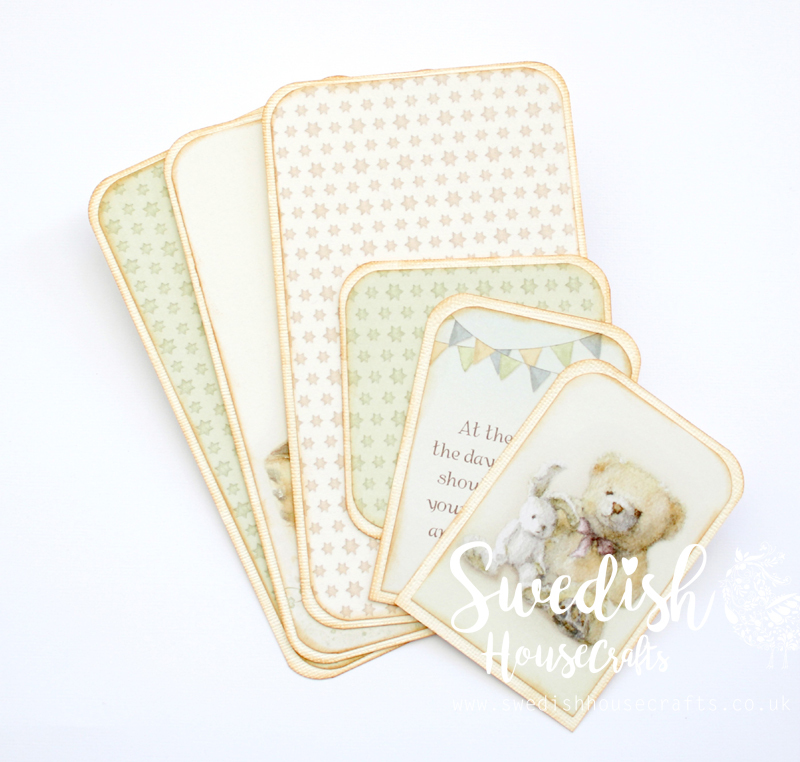 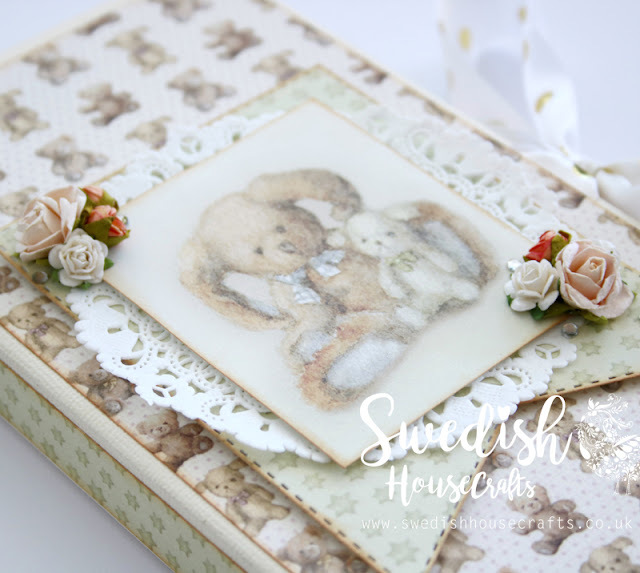 I used the beautiful Theodore and Bella collection for this mini and the papers are just ever so beautiful - the teddy bears are so soft and cuddly. 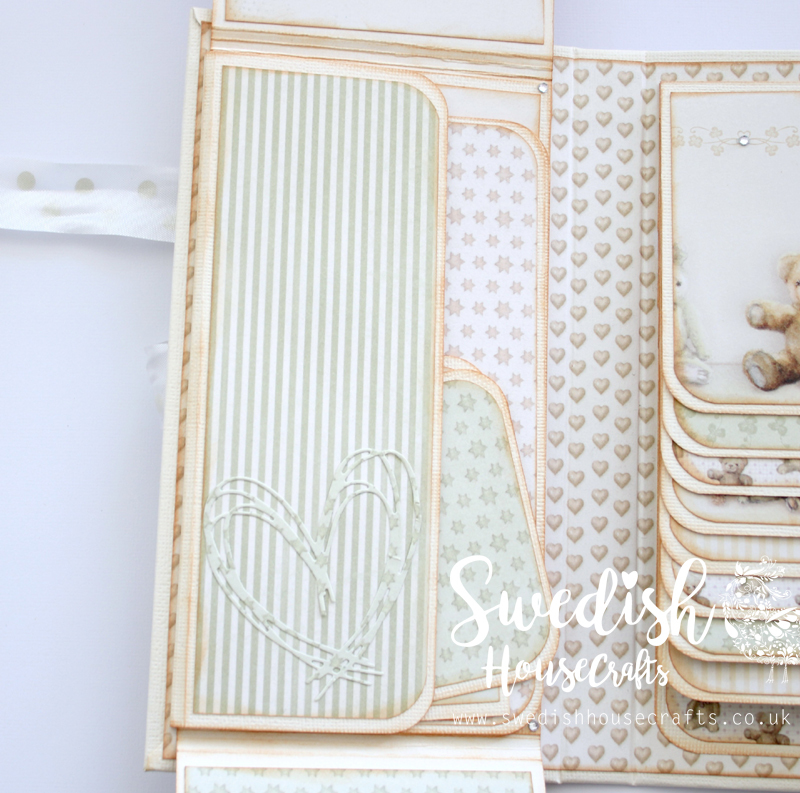 By creating the waterfall I am able to showcase all those different patterned papers all throughout the album and of course I just had to add a touch of sparkliness with the rhinestone stickers. 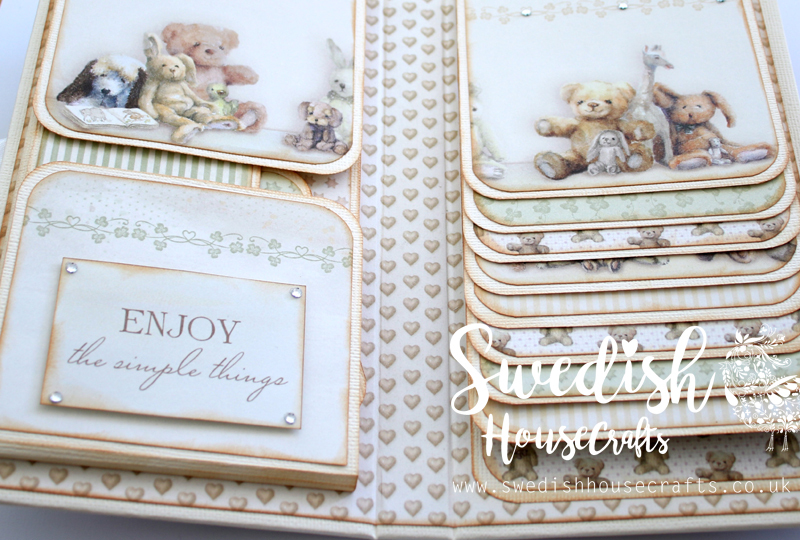 The cover would not be complete without some flowers and the Gummiapan banner dies look great on the cover.